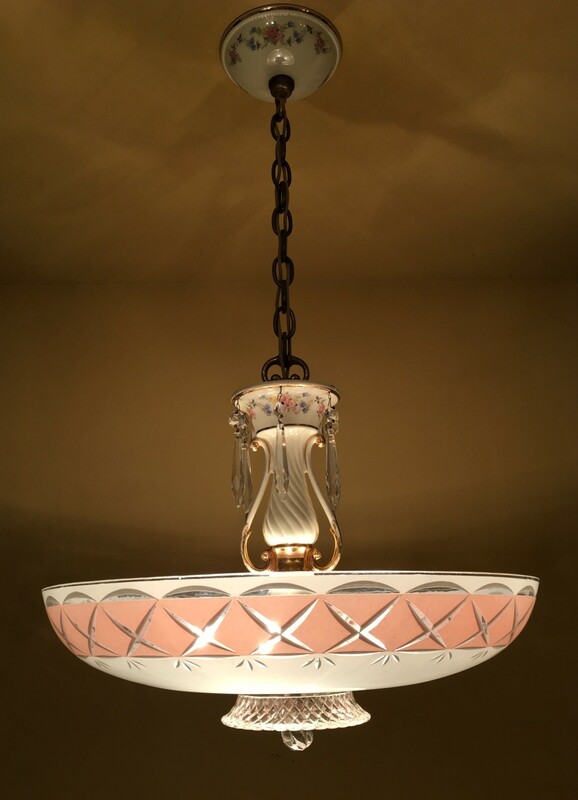 Around 1950, Porcelier updated their line of lighting. 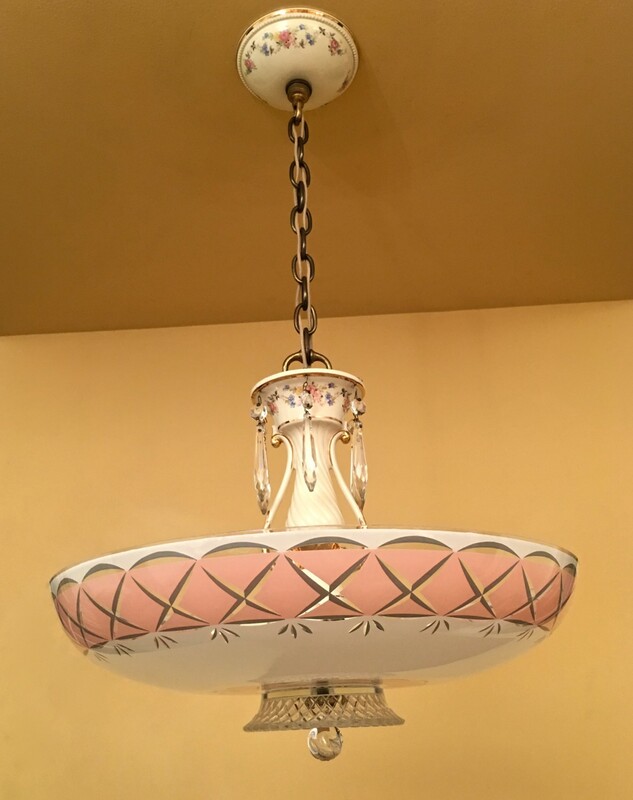 Some new fixtures were introduced but, mostly, existing fixtures received subtle updates. 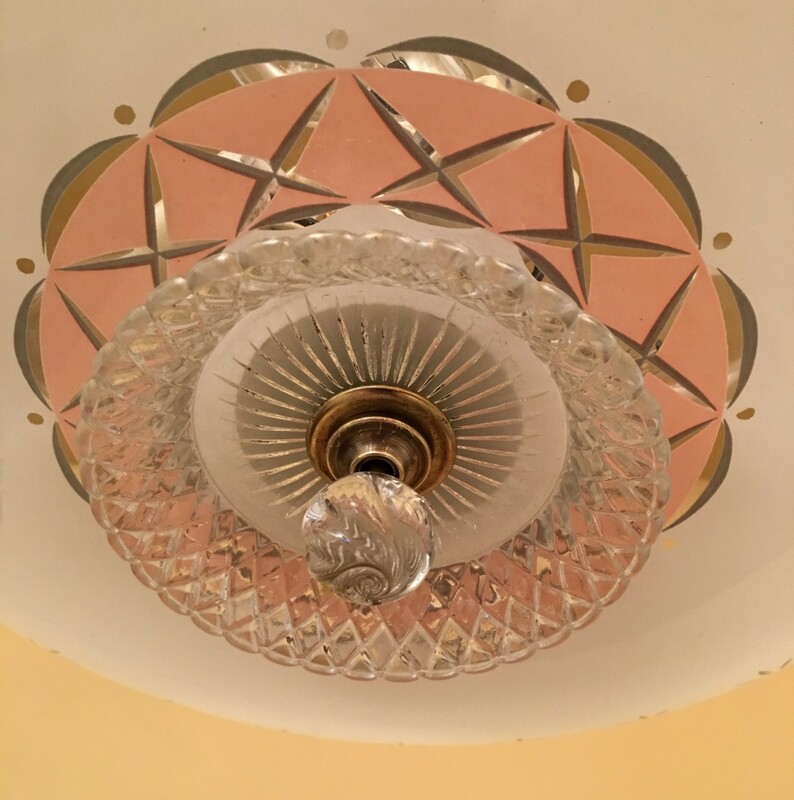 These latter fixtures were identical to what was produced a decade previously, with the exception of having a different glass shade. 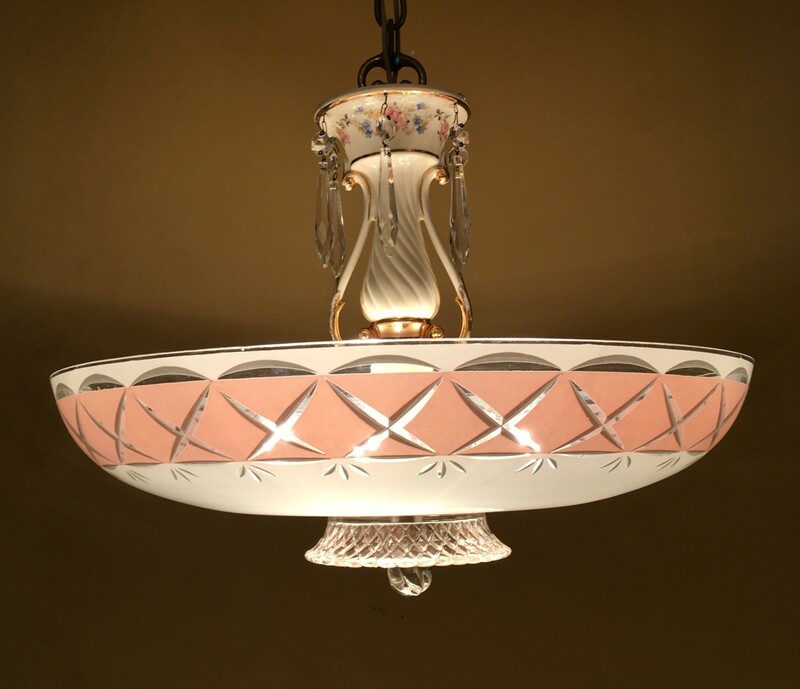 Porcelier has always used cast glass shades, but around 1950s they introduced slumped glass shades, and such shades quickly became all the rage in the 1950s. These “updated” fixtures are INCREDIBLY rare, and even more so with all their original components intact. …this! I have never before offered one! GASP! The chandelier retains ALL its original components. 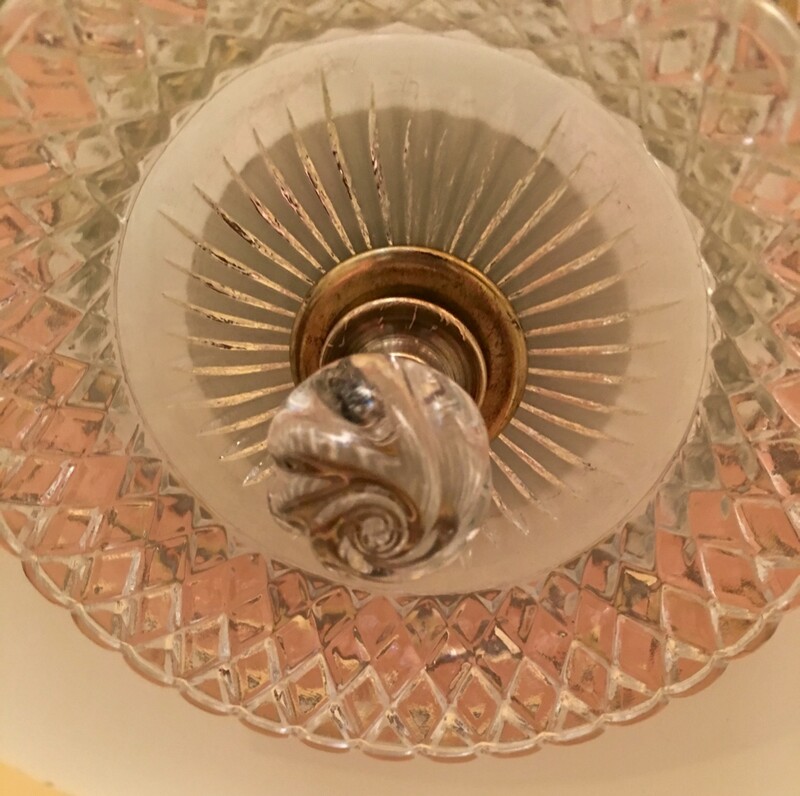 The ceiling canopy, chain, chain flourish, porcelain stem, crystals, sockets, shade, glass dish under shade, and glass finial are ALL original to each other. Yep, amazing. WOW! 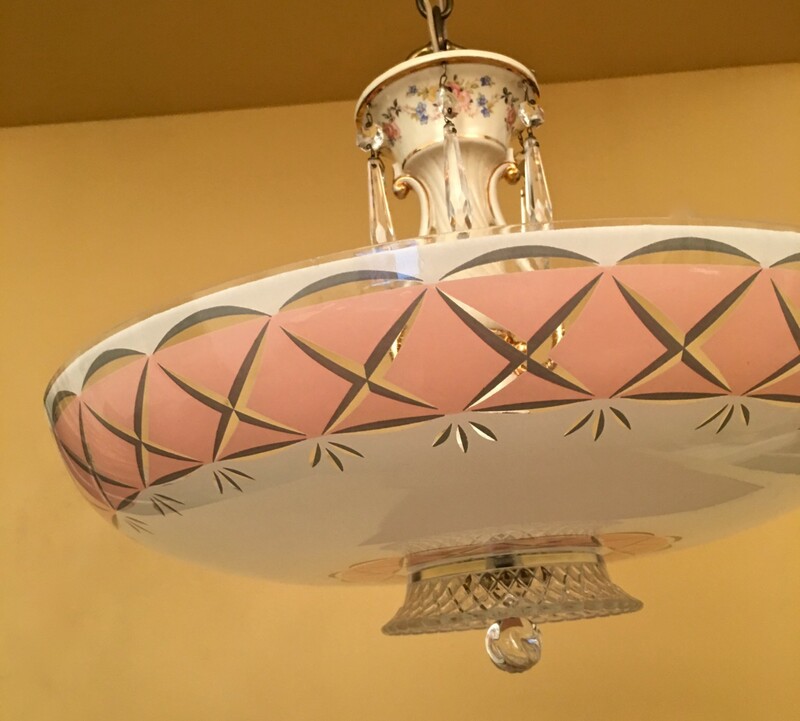 The stem (above the shade) and ceiling canopy are porcelain, and these are typical of Porcelier. They feature exquisite flowers. Gorgeous. They also feature brilliant gold trim (real gold, I believe). …a miniature tornado! Oh, be still my heart!